In my (mere) six months blogging about bipolar, I have noticed a lot of poetry being written. Now, I am a lesbian and the song of my people is free verse, so it’s a familiar environment to me. The difference between bipolar poets and lesbian poets, is that the bipolar ones rhyme much, much more. What they have in common is that there isn’t a lot of evidence that work and editing and bleeding, sweating and tearing took place. Stephen Fry informs us that this is not a phenomenon limited to bipolar, lesbian and bipolar lesbian poets and that it is in fact, infesting the entire modern poetry scene. He wrote a book about it. A tour of the poetry archive with Stephen Fry. 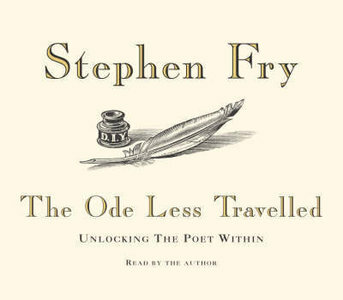 Book: The Ode Less Travelled by Stephen Fry. Before you beat me up, please remember that I didn’t say all – and that for all you know, you might be one of the poets I like (Alex, for example). And quite frankly you ought to have enough confidence in your work not to give a damn what I think anyway. 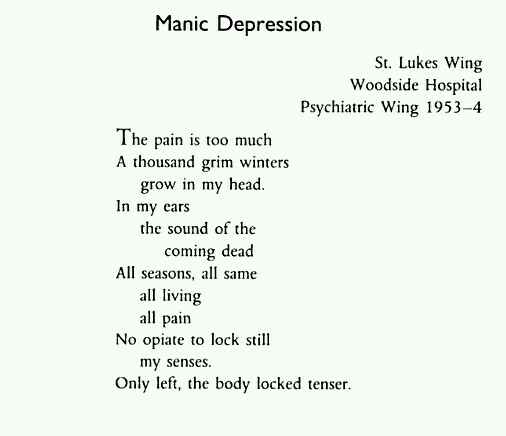 Haiku for the Bipolar by Roland Frye. I’m linking you to that because it exists and maybe it’s your thing. It is so not my thing. A bipolar sonnet by Steve Huff (I do like this one, effort has gone into it). If you want a forensically diagnosed sonnet poet, try Gerald Manley Hopkins. Here is a sonnet about Facebook by native american bipolar poet and author, Sherman Alexie. More of his poems here and here’s his official website. Here’s a good ‘un, by Spike Milligan, that gets spread all over the net without his name on it. It doesn’t take much google fu to get lists of famous bipolar poets; there’s lots to learn from and enjoy. By the way someone needs to write a limerick about bipolar. that is so interesting because I’m a bipolar lesbian too and I have noticed that I rhyme a lot but to be honest I don’t consider myself much of a poet but just someone who randomly writes. I’m actually a software engineer. 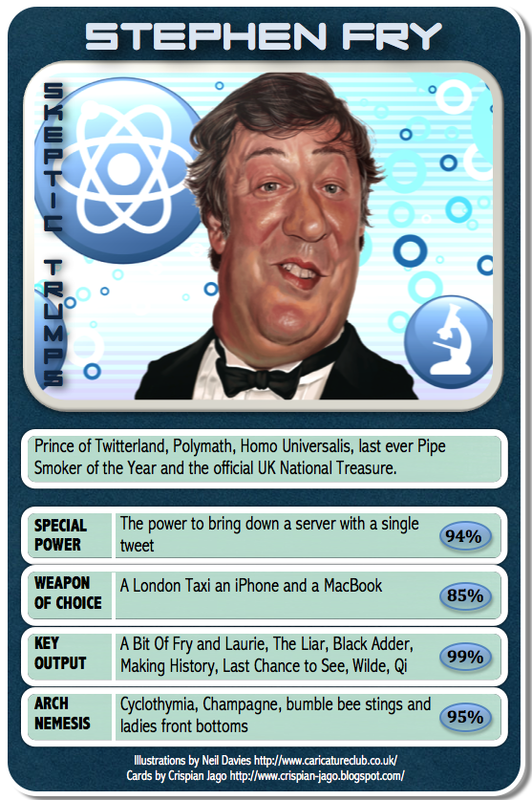 What Stephen Fry informs us is actually really interesting that now I actually want to read the book. A lot is being passed by as poetry that people give in to it. I want to read it too. He wrote poems to demonstrate each poem type that he discusses in the book. I know. Me too. I wonder what he has to say in that matter. Interesting, I had to look at my favourite poets to realize that they do tend to rhyme (except for some translated poets where it is not clear). I always feel most attracted to content and imagery. Dylan Thomas (more of an unconventional rhymer) is brilliantly visceral and had a mood disorder. My favourite, WH Auden, captures loneliness like no one else, no mood disorder but gay. Not sure what that means. I try to avoid rhyming in speech and writing myself, but then I figured out long ago that I was not a lesbian, but seems I am still bipolar. I nodded all the way through while reading your comment. I’ve written lots I don’t ever want to see again. Next Next post: was kurt cobain bipolar?